The site is programmed for PleskWin. Godaddy.com Inc (Arizona, Scottsdale) is the location of the Microsoft-IIS/6 server. 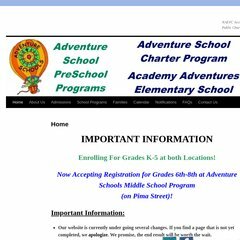 Its 1 nameservers are ns.academyadventures.com. PING (72.167.248.224) 56(84) bytes of data.